On sale! 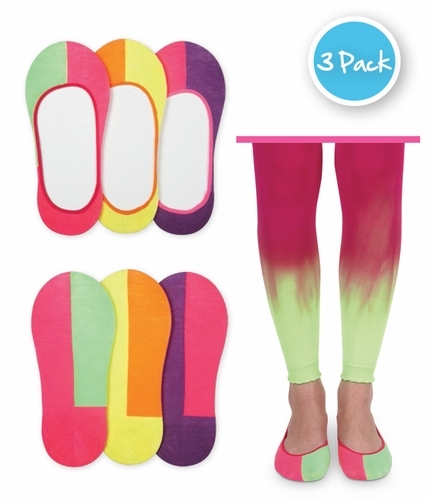 A funky footie liner split with different colors on each side! The no-show profile gives that bare leg look but with the comfort of a sock. Price shown contains 3 pair.